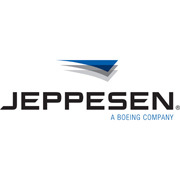 Jeppesen, a part of Boeing Commercial Aviation Services, and Avidyne Corporation today introduced new Jeppesen Services Suite for IFD540 bundled data packages, featuring Jeppesen’s industry-leading navigation information and charting data. The new data service is designed to support Avidyne avionics systems within a single aircraft, centered on IFD540 FMS/GPS/NAV/COM avionics. The new bundle services allow general aviation pilots to manage a single subscription to update multiple Avidyne avionics systems within their aircraft. Avidyne systems included in the bundle include the IFD540 and EX series (EX500, 600 & 5000). When available, the IFD440 will also be included in the service plan. The bundled, single aircraft pricing structure data package provides customers with a pricing discount, when compared to purchasing data subscriptions individually. Jeppesen Services Suite for IFD540 customers will receive up to a 76 percent savings compared to purchasing all available individual subscriptions for their Avidyne equipped aircraft. Jeppesen’s industry-leading navigation data is included in the bundled service, including Jeppesen NavData, obstacle data, terrain data and charts. Three bundled service options are available – Jeppesen Services Suite for IFD540, Jeppesen Services Suite Plus IFR for IFD540 and Jeppesen Services Suite Plus VFR for IFD540, depending on customer requirements. For more information on the industry-leading NavData and charting options provided by Jeppesen for Avidyne avionics systems, including IFD540 and EX series bundled Jeppesen Services Suite data, please visit www.Jeppesen.com/Avidyne/Bundle. For more information about Avidyne precision navigation flight management systems, please visit www.avidyne.com.